My favortie wellness properties right now! Located in the foothills of the Himalayas in India, Ananda features 78 rooms, suites, and villas. The property is set amongst 100 acres of virgin forest around the majestic palace estate of the Maharaja of Tehri-Garhwal. Ananda offers breathtaking views of the Himalayan foothills, the valley of the holy town of Rishikesh, and the Ganges River. 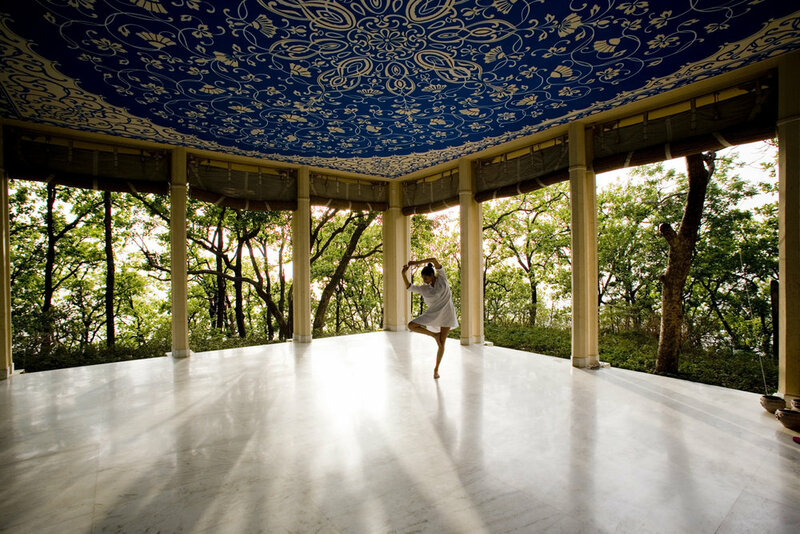 Offering an array of outdoor activities and a diverse range of Wellness Retreats and delicious Spa Cuisine, combined with the ancient regimes and philosophies of Ayurveda, Yoga and Vedanta, Ananda is the ultimate escape to the spiritual side of wellness travel. Join us for a Writewell Retreat in 2018 at this incredible destination. More details coming soon! Yucatan’s much-anticipated Chablé Destination Spa welcomes spa aficionados to 40 deluxe villas with private pools in the heart of the Mayan forest, 25 minutes by car from historic Mérida in the Yucutan. Imagined as a hedonistic and utterly private retreat, the hacienda’s centerpiece will be its incredible spa, the first to be built inside a cenote – natural cave formations believed to be sacred to the Mayans. In addition to the spa, the resort boasts five-star service, seasonal and organic cuisine, the world’s largest tequila collection and – soon – an 18-hole championship golf course. Join Vitina Blumenthal on property this November while she gives you a taste of what it's like to Wanderwell at Chablé. For more details email cait@wildwellnesstravel.com. Combining a robust calendar of intimate workshops, enlightening lectures and activities, Rancho Valencia's Wellness Collective is designed to give you the tools to cultivate sustainable change in your overall health and wellbeing. Based on the cutting edge science of epigenetics, this award-winning program was created by an expert team of specialists in epigenetics, health, wellness and preventative medicine. A truly unique wellness experience unlike any other, the Collective is available in the form of 3, 5 and 7 day packages and retreats. It was previously thought that genes were fixed for life. However, sequencing of the human genome has taught us that many genes change in response to how we care for ourselves. Scientists are increasingly convinced that the majority of disease - potentially up to 95% - is preventable through making healthy choices. Lifestyle factors like how we exercise and sleep, the pollution we are exposed to, our stress levels and state of mind, and what we eat and drink can ultimately change our genes and impact our longevity.